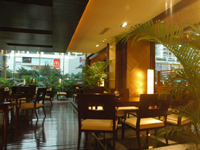 The Grand International Hotel (Guangzhou Jiayi Guoji Jiudian) is a five-star hotel, located in the bustling Tianhe District, adjacent to Guangzhou East Railway Station and Sports Center. 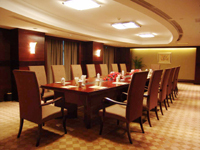 There is elegantly designed restaurant offering superior Cantonese cuisine, as well as well-appointed meeting facilities, swimming pool, fitness center, snooker and pingpong available. 10 minutes by foot to the Subway Station of South China Normal University. No room is available at this moment. Please make sure the check-in / check-out date on the left are correct. If you want to book the Grand International Hotel , please send us your name, arrival / departure date, and preferred room type. Your enquiry will be processed within 30 minutes.